Welcome to Los Alamos, New Mexico! Welcome to St. Job of Pochaiv Orthodox Church, a parish under the omophorion of His Grace, Bishop DANIEL of the UOC of the USA. We are located at 1319 Trinity Drive in Los Alamos, New Mexico. We are a vibrant and growing community of faith, worshipping our Lord, God, and Savior, Jesus Christ, in a historical way. Our services are in Eglish and children are always welcome. As St. Andrew put it so succintly, "Come and see!" Connect with us here and on Facebook. Description of Iconology: From the Prosopon School of Iconology This expanded course offering involves the study of the ancient floating technique of icon painting in the Byzantine Russian tradition, which reached its height in the XV-XVI centuries. Students will study the many-stepped method of layering egg tempera. Gesso application, gilding on bole, and final olipha application will also be taught. Each step has a symbolic and theological basis as a liturgical art. This basis will be taught parallel to the technique. Normally, each individual student completes an Icon by the end of the course. A background in art is NOT required to be successful in this course. Beginner and Advanced students welcome. 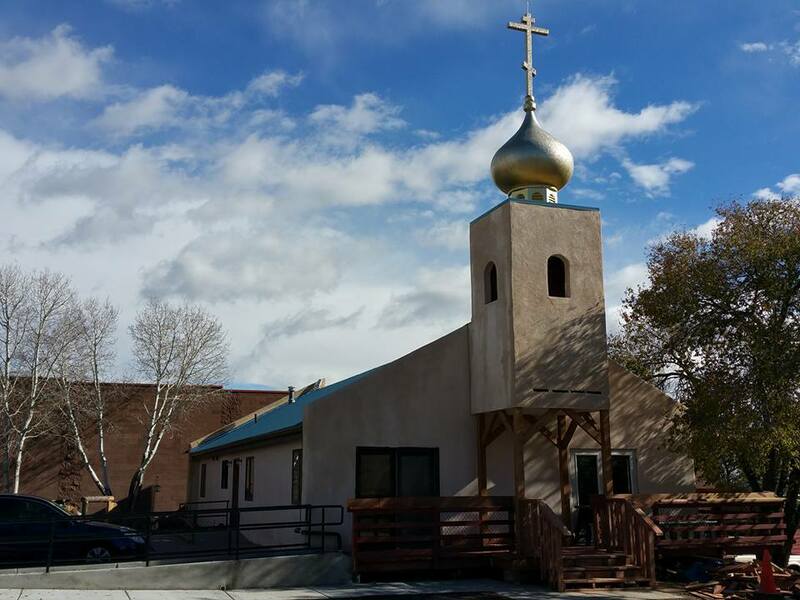 Questions, make-up, review of the process, and instructor's comments regarding each icon Schedule of Classes (Daily) 9:00 a.m to noon Break for lunch 1:00 p.m. to 4:00 p.m. (Estimate) Location: Saint Job of Pochaiv Orthodox Church, Los Alamos, NM. The instructor for the Workshop is Father Mefodii, a Priest-monk from the Skete of Saint Maximos the Confessor in Palmyra, VA. Fr. Mefodii has been an ordained priest for almost 35 years during which time he has been a parish priest, spiritual director of a college seminary, diocesan representative to various religious and interfaith organizations, and an author and student of Byzantine-Russian Iconography. Fr. Mefodii holds two degrees in Theology: Magister der Theologie (M.Th.) from the Theology Faculty of the University Innsbruck, Austria; and a Master of Arts (MA) in Eastern Christian Theology from the John XXIII Institute for Eastern Christian Studies at Fordham University, Bronx, NY. He has been a student of Master Iconographer Vladislav Andrejev since 1991 and instructor at santa Workshop since 2005. Literature used for reference: The Bible; Liturgical Books, i.e., writings of Saint John of Damascus, Saint Theodore the Studite, Saint Gregory Palamas; works of Leonid Uspensky and Pavel Florensky; "The Iconpainter's Pattern Book"; “The Icon” by Egon Sendler which contains both theology and technical information. Some titles will be available for purchase. Tuition: Tuition for the workshop includes Instructor tuition, Gessoed “student” (9x14) board. Gold-leaf sheets (3), pigments, brushes, etc. Tuition is $695. Advanced students icon board please add $15 Deposit of $345 assures a place in the class (enrollment is limited); the balance is due by July 1st. All deposits are nonrefundable unless the workshop is under-enrolled, in which case all deposits will be returned. Payment to: Icon Workshop-Saint Job Orthodox Church. Mail to: Icon Workshop Saint Job Orthodox Church, 1319 Trinity Dr. Los Alamos, NM 87544. We can now accept credit card payments, call 505-412-6031 for details. Born in St. Petersburg, Russia, Mr. Andrejev discovered his artistic abilities at an early age. At 14 he was accepted in a special art school for gifted children. He also attended Tavrichesky Art Institute. Studied graphic art and book illustration at Polygraphic Art Institute in St. Petersburg, classical painting and sculpture at the Academy of Fine Arts, also in that city. After completing art school Mr. Andrejev worked as an illustrator of books and magazines. Becoming dissatisfied with the expression on only the external, he started a search for the spiritual. He became a wandering pilgrim traveling from one Russian Orthodox monastery to another, on the way meeting remarkable monastics, who despite the Soviet repression practiced their Christian way of life. One of these was an artist and restorer of Icons. Vladislav spent a year with this monk studying the Russian Orthodox tradition. Resuming his travels he painted Icons occasionally for individuals and churches, a dangerous occupation in that political climate. In 1979, Vladislav Andrejev emigrated from Russia, accompanied by his wife and four year old son. After living briefly in Vienna, Austria in 1980, he moved on with his family to California, where he had several one person shows. His artistic and spiritual development was clearly towards the Icon and in 1981, he and his family moved to the East Coast. During the next two years Vladislav designed and illustrated, in the medieval Russian Byzantine style, the Gospel according to St. Matthew. In 1986 this manuscript won Best of Show at the Billy Graham Art Center in Illinois, and was later published in English by Oakwood Publications, now a part of Saint Vladimir’s Orthodox Seminary Press. The Prosopon School of Iconology introduces students to the practice and theory of the ancient Christian art of icon painting in the Byzantine Russian tradition. Apprenticeship in this discipline of the hand, mind, and heart can lead beyond the discovery of icon symbolism and mere technical competence: the method of study promoted the experience of all aspects of one’s personal life. Master iconographer Vladislav Andrejev has been teaching iconography in North America for nearly twenty years. Over the years, a growing number of students have been introduced to the ancient Christian art, about one hundred first time students each year throughout the country. Concurrently, Mr. Andrejev has written a large volume of icons to be seen in many churches and private collections throughout America and the world. With time, both the personal iconographic technique and the teaching method of Mr. Andrejev have undergone development and, to a fair degree, standardization. As result, a distinct “school” of painting and interpretation has evolved, one which strives with every means possible to be a direct continuation of the medieval Byzantine-Russian tradition, as well as a further step in the development thereof. Consequently, Mr. Andrejev and some of his students have recently made an effort to organize, to unite in a more official manner all the aspects of this “school,” giving it the name “Prosopon School of Iconology.” In this new stage of growth, the School continues presenting its instruction in icon-writing, now drawing upon a core of faculty including Mr. Andrejev, his sons Dimitri and Nikita, and a handful of students who have studied at length with Master Icongrapher Andrejev. Upon being named, the Prosopon School received the blessing of the Archbishop of New York and New Jersey, and the approval of the Metropolitan of the Orthodox Church in America The structure and established tradition of the school has allowed more remote workshops due to the expansion with these additional instructors. Beginning students will commence their studies on the image of the Archangel Michael and work in a step by step process towards its completion. 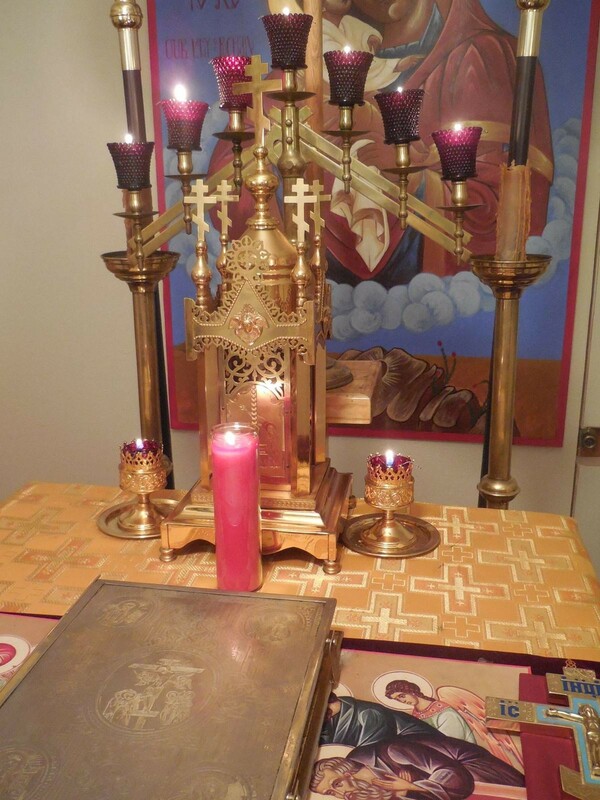 Along with the technical application and instruction, the theological understanding of the Icon will be presented. This icon is the first of the curriculum which is structured as a progression of icons that reflect the growing skills and spirituality of the student. 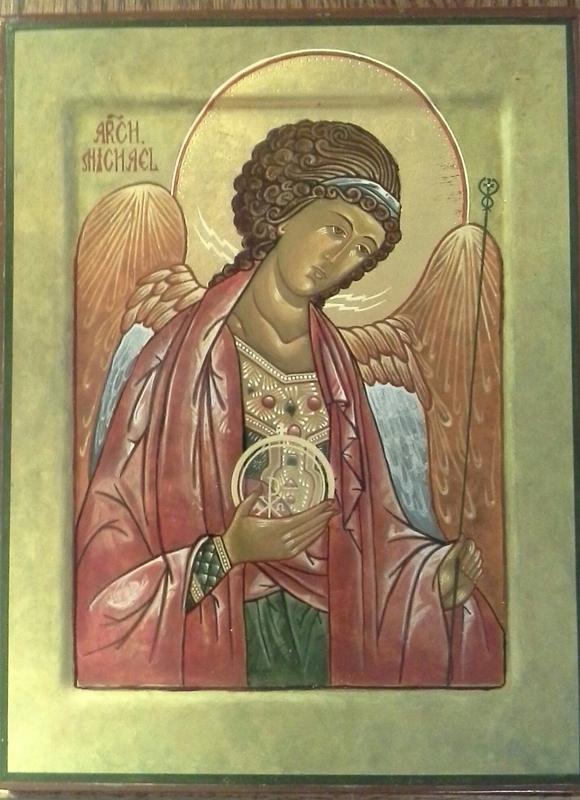 The icon of the Archangel Michael is followed by the icon of the Archangel Gabriel. The next two icons in the series are the icons of John the Baptist and the Theotokos, the Mother of God. If the student has already completed these four icons, the student should inform the School at the time of enrollment and instructors will provide advice of which icon is to be completed at the workshop. Advanced students will continue their studies with a more complex icon selected by the instructor - or an icon that they have selected - and will work towards its completion. Instruction will concentrate on more advances methods and refinements with a focus on highlights, blending of pigments and geometric proportion of figures. Taught along with the technical painting will be the theological unfolding of the icon. Advanced students may bring their own brushes and other supplies.